Did you know that 12,751 property crimes were committed in Montgomery during 2015 alone, according to the FBI? With Vivint home security, you don’t have to become a victim. For starters, you can keep your family safe with Vivint’s array of smoke detectors, carbon monoxide detectors, and flood detectors. You can also secure your home from intruders with security cameras, door and window sensors, motion sensors, and more—all of which can be paired with your Amazon® Echo for easy home control. Best of all, Vivint home security products are also smart products, meaning you can get notifications from your doorbell camera when the kids get home from school. And if you forget to lock the door when you leave, you can use your Vivint Sky app to trigger your keyless door lock remotely—whether you’re catching a Biscuits game at the Riverwalk or you’re on vacation in Barcelona. With Vivint, Montgomery residents can enjoy a wide variety of perks that are sure to turn heads. Imagine being able to visually check in on your kids after school, chat with the dog when he’s anxious, and get notifications when there’s unusual activity in your home. You can do all that and more with Vivint’s motion sensor-activated Ping camera, a popular home security feature among Montgomery residents. You can also install outdoor security cameras, glass break sensors, smoke detectors, and door and window sensors to keep your home protected around the clock. And if you ever do experience an emergency, you’ll get back up from Vivint’s 24-hour monitoring team. To get the perfect system for your needs and make your home the most sophisticated house on the block, give us a call at 1-877-491-8820! Ever had an online order stolen or ruined on your front porch because you didn’t hear the doorbell ring or weren’t home to answer the door? With Vivint’s doorbell camera, you won’t have to worry about it again. The doorbell camera sends you notifications anytime someone comes to your front door. You can view video of your visitors and even have a two-way conversation with them, so you can tell your UPS guy to leave your package under the bench or behind the planter. Pair that with a smart keyless door lock and you can even let guests in while you’re away from home. To find out more about the products and benefits of Vivint Smart Home Automation, give us a call today at 1-877-491-8820. 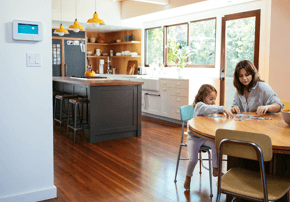 I’ve Signed Up for a Vivint Home Security or Vivint Smart Home System—Now What? Once you’ve signed up for your own personalized Vivint package, it’s time to think about installation. Fortunately, with Vivint, it couldn’t be easier. The first step in the Vivint installation process is to set up your online account. You can determine when you’d like to receive notifications from your tilt sensors, carbon monoxide detectors, cameras, and more. You can also set up preferences for your Vivint Element thermostat. That way, it can get right to work once it’s installed, monitoring your home’s temperature and humidity levels, maximizing your efficiency, and keeping your home cool and comfortable during those notorious Alabama heat waves. Ready to enjoy unprecedented home control? With Vivint, you can build a customized home security package based on your needs. That means you don’t have to pay for extra features and equipment you won’t actually use. 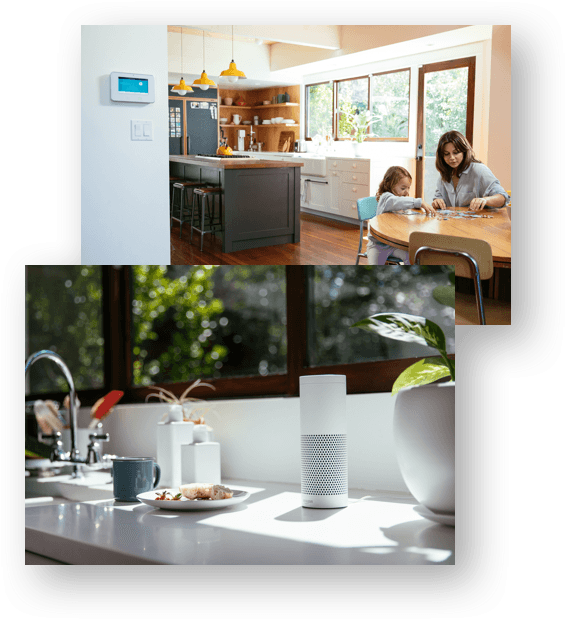 To find out more about limited time Vivint Smart Home deals and get a quote for the security features you need, fill out the form or give us a call today at 1-877-491-8820!